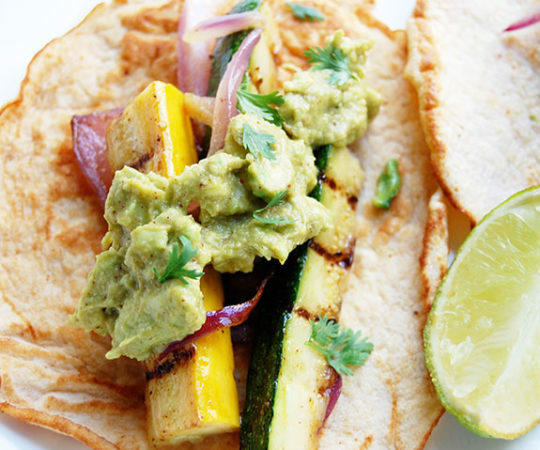 We’re very into creating fun, healthy fries lately. 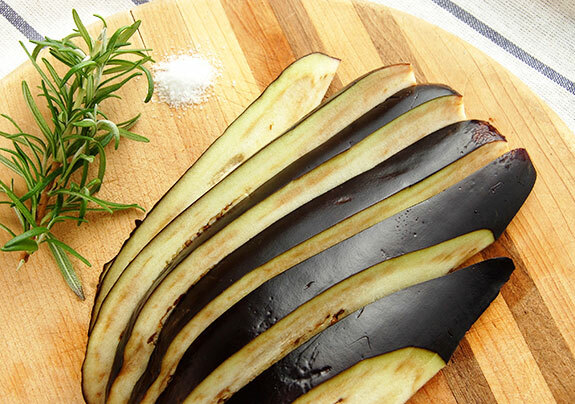 In this recipe, creamy delicious eggplant is covered with a crunchy coating of almond flour. 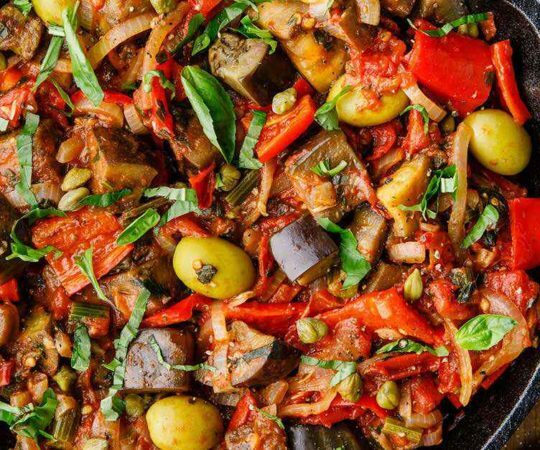 Instead of frying the eggplant, this healthier version bakes the vegetable slices. Addictive, decadent, and quite filling, add these fries to your list of regular snacks, or enjoy them with your lunch! 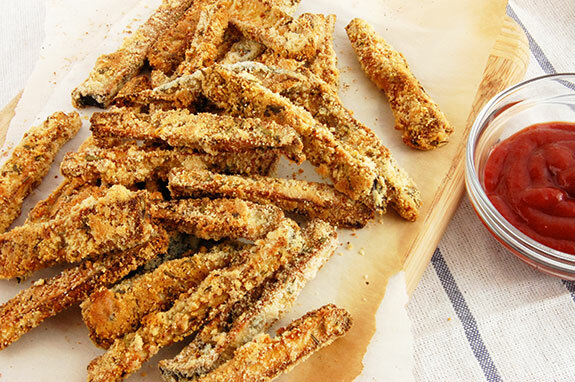 You can easily change the flavor of these eggplant fries by altering the spices used to coat them. 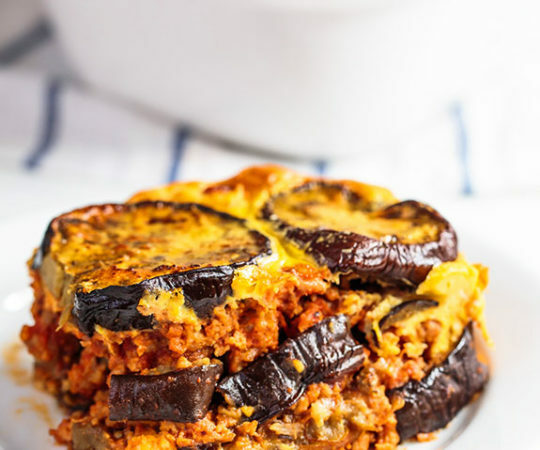 Eggplant tends to soak up other flavors very easily, so they are versatile for sweet or savory recipes. For this recipe I used rosemary and thyme, a combination that I usually love on French fries. 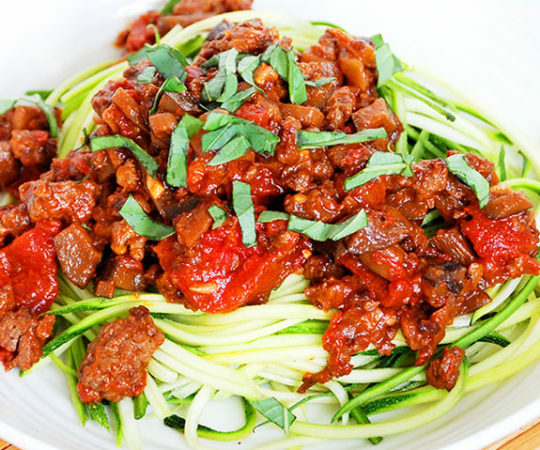 You could also make spicy eggplant fries by using chili powder and cumin – feel free to mix things up. The spices are mixed in with almond meal before the eggplant slices are coated. First dip each slice into the egg mixture, and then dredge in the almond flour. You do not need to heavily coat each slice, just enough to add a layer of crunch. Place the slices on a parchment paper-lined baking sheet and bake them for 20-25 minutes. I turn the fries once during the baking process so that they browned more evenly. You will know the fries are done when they are golden. Let the fries cool for a couple of minutes before digging in. They are best served warm right out of the oven, crispy on the outside and creamy on the inside. 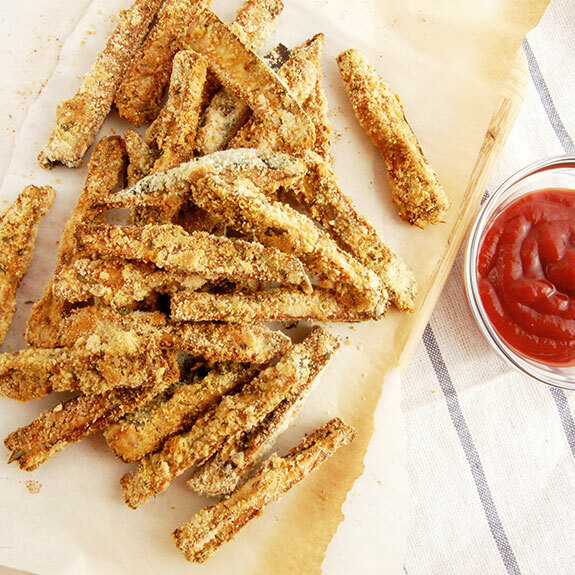 These eggplant fries are a fun finger food that can be served with any of your favorite dipping sauces, or just plain ol’ ketchup. Preheat the oven to 450 degrees F. Line a baking sheet with parchment paper. Stir together the almond meal, rosemary, thyme, paprika, and salt in a shallow dish. In a separate dish, whisk the egg and olive oil together. 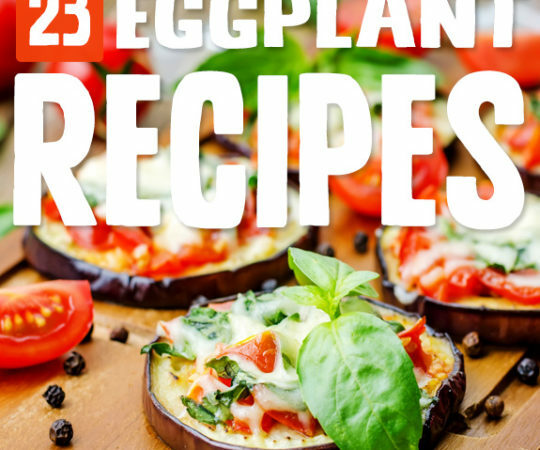 Dip an eggplant slice into the egg mixture and then dredge in the almond flour mixture. 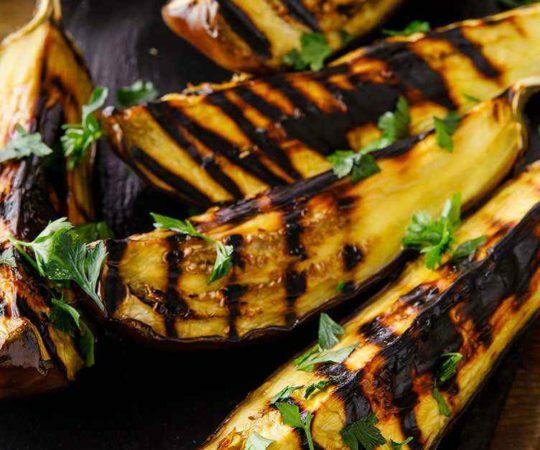 Place on the baking sheet and repeat with the remaining eggplant. Bake for 20-25 minutes, turning once, until the fries are crispy and golden brown. Serve immediately. Baked Eggplant Fries with Rosemary & Thyme is a wonderful idea to use up any eggplants you have & the recipe is yummy when served hot or cold. First time I tried it today at my daughters school because we are looking for ideas to create yummy food to eat her school helps a lot at times with creating yummy food to make again & again.